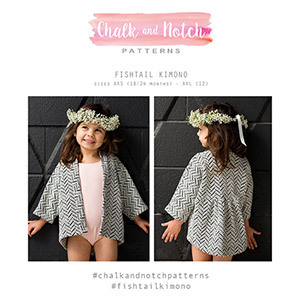 The Fishtail Kimono is a loose-fitting garment with a gathered back yoke and dropped hem detail. This pattern is available in sizes 18 months to 12 years. 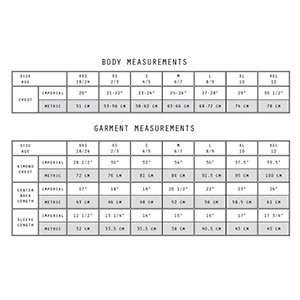 Suggested fabrics are cotton lycra, cotton jersey, and specialty wovens.